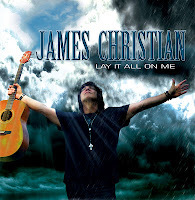 Rock & Metal 4 You: CD-Review: James Christian - "Lay It All On Me"
Every lover of melodic rock/AOR should know his name: James Christian is a highly respected singer in the genre. Since his start in 1988 he released some albums with his band House Of Lords, which became classics to many fans out there (just think of "Sahara" from 1990). He also released two solo albums yet. Now it's time for his third solo effort. So expectations are high, can he fulfill them? I recognized House Of Lords for the first time in 2006, when the record "World Upside Down" was released and this album really hit me (even if there were no original band members left, beside James). Since this time I had an eye on this band and sadly no album of them could beat "World Upside Down" in my opinion. So I was also very excited for James' new solo album and the first thing I can say is that "Lay It All On Me" is a bit softer then the records with his main band. House Of Lords had always some harder tracks on their albums, so you could call them a melodic hard rock band with AOR influences, but James' new effort concentrates more on the AOR aspect. You hear tons of keys in the background and they are all played in the typical 80's vein and even all other aspects on this album exactly deliver what you would expect from an AOR record: beautiful (vocal) harmonies, very melodic guitar parts and a good sense of hooks. Just listen to "Lay It All On Me" this tracks is a real AOR gem, catchy as hell with a great bridge and nice guitar solos. Next tracks "Sacred Heart" and Day In The Sun" follow this path of this great feel-good-vibe. On "You're So Bad" and "Don't Come Near Me" James rocks a bit harder then on other songs on this record, but don't expect the brand "hard rock" here. Nevertheless, till that point I was really satisfied with this album. But all those good things go hand in hand with the typical problems of AOR, that means much on this album sounds way too cheesy because of the sugar-sweet keyboards ("Let It Shine", "Sincerely Yours", "Believe In Me") , lyrics are filled with clichees and at a certain point it gets repetitive. After 7 songs I got a bit bored. Even James Christian can't prevent that many elements sound just slushy. But like I said, this is a general problem with AOR. This wouldn't be a problem if the hooks would be placed at the right places, but on songs like "Welcome To Your Future" or "Shot In The Dark" they are not. The melodies are very replaceable here and not differ from other AOR songs from other bands of this genre ... and you know the list is pretty long. You just need to have something unique if you want to stand out of the mass. Luckily James has something of this: his voice! James Christian's vocal performance is still very strong, raspy and clear at the same time and most important: he sounds quiet unique. I'm really happy to say this, because in my opinion this wasn't the case in all those years. I remember the House Of Lords album "Come To My Kingdom", where James' voice sounded a bit compressed, but on this solo record it's all very natural. Yes and speaking about the production it's the same like every AOR production: very, very polished, without any edges. Only "Sincerely Yours" seems to be a bit more punchy produced. I would have liked to hear this on all songs. 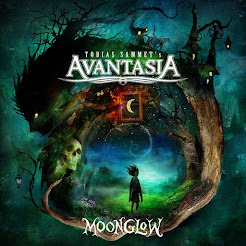 So finally I can only say you need to have a bit of enthusiasm for this AOR genre - then you'll get a good album, which offers exactly what you expect from such a record, without trying to be a bit different. To my ears there are too much keys on "Lay It All On Me", it's way too chessy. Some other AOR/melodic rock bands compensate this by using harder guitar riffs or with a more punchy production. James Christian don't make use of this in most parts, so you get a very traditional AOR recording, which is recommended to all lovers of this style and of course to all House Of Lords fans.